Anger can be processed by going on a run, practicing yoga, or mindfully engaging in deep breathing. While these are all great tactics, what happens when your anger is directed at your partner in the heat of the moment? Anger can overwhelm even the most self-reflective and self-aware person. When you are flooded, your pulse races and your limbic system takes over, making rational thought almost impossible. It’s important to understand that anger is often a red herring which covers up more vulnerable feelings such as embarrassment, sadness, and hopelessness. While deflecting anger in the moment may not be possible, it is possible to identify the feelings beneath. So how do you do this? Consider the narrative of your anger and use those phrases as keys to unlock your underlying primary emotions. I am so angry at you. You always cancel on me to meet up with your friends. You make me feel so small and unimportant. The key emotion here is feeling unimportant. Once she identifies this, she can communicate in such a way that her partner can understand her. By focusing on your feelings beneath the anger, you welcome your partner to offer empathy and make a repair instead of becoming defensive. Instead of starting a fight, you’re starting a respectful dialogue about your feelings. You are also asking your partner to be on your team. 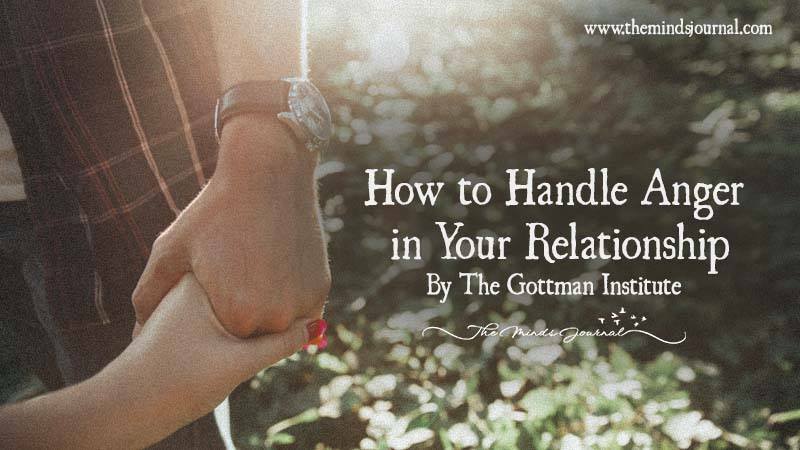 Couples who understand that respect, kindness, and love are more effective than harshness and criticism are what Dr. John Gottman calls the Masters of Relationships. Blaming feels good in the moment, but the effects can be disastrous. Even if you feel angry at your partner, it doesn’t mean that your words should be harsh or critical. In fact, in order to get your message across, it’s vital to avoid the Four Horsemen. Here, old adages such as “you catch more flies with honey” are spot on. While expressing anger or blame can get your point across, it will also erode your intimate bond. If you attack with criticism, your partner will likely become defensive and blame you right back. They may also get flooded and be unable to focus on the discussion, cause it to escalate. Conversations like this eventually create emotional distance because the more critical and contemptuous you are, the more you will chip away at your friendship. Choosing your words and emotions with care is not easy. It takes practice, but once you start using this approach, it can repair and actually strengthen your bond over time. So the next time you get angry, stop and think about why you’re angry. Is it because you’re embarrassed? Worried? Disappointed? Tell your partner what you feel and what you need. Learning to recognize when anger isn’t really what you’re feeling is a skill used by emotionally intelligent couples.